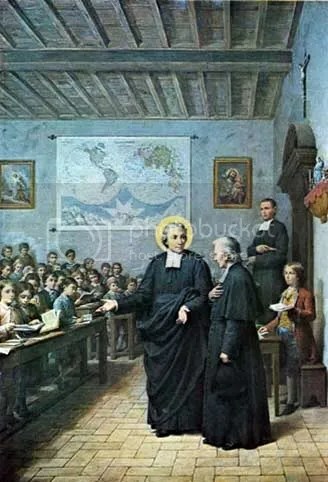 Today, April 7, we celebrate the feast day of Saint John Baptist de la Salle (1651-1719), patron saint of teachers. Pope Pius XII declared, in his proclamation of the patronage of Saint John Baptist, “The saying of Saint Bonaventure that they only are true educators who can kindle in the hearts of their students the vision of beauty, illuminate it with the light of truth, and form it to virtue’ is particularly appropriate at the present time when the education of the young is not only frequently at variance with the principles of true moral training, but is often godless and irreligious, and thus harmful in the extreme. 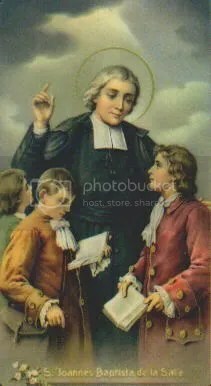 Saint John Baptist de la Salle is remembered for his complete dedication to the will of the Lord in his life, even when it ran counter to his plans and expectations, even his comfort and enjoyment. Born into a privileged life, with many things going for him—including wealth, status, education, charm and good looks—Saint John had the world at his fingertips. He chose the priesthood, both he and his family expecting a comfortable and influential appointment within the Church. But the Lord had other plans for Saint John. John’s heart became inflamed with love for the education of “wayward” boys—those who had no schooling, those in trouble with the law, the crumbs that society had attempted to sweep under the proverbial carpet. Saint John found himself constructing schools and surrounded by these “morally inferior” students, which was both unnerving and uncomfortable for him. Despite his distaste for the work he was doing, Saint John recognized the call of the Lord, and through himself into the work. He created several schools in Raven, where he was stationed, giving up a privileged position within the Church to continue his work. 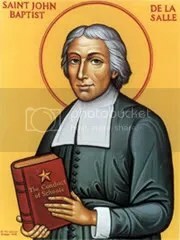 Saint John Baptist subsequently created a religious order, The Brothers of the Christian School (the de la Salle Brothers), dedicated to building schools and sustaining the religious and educational instruction of youth. The community grew rapidly, as did the number of schools built and staffed. Saint John instituted progressive changes in instructional methods, which many secular and religious educators resisted. For example, Saint John began teaching students in the vernacular languages of their regions, rather than instructing in Latin. He introduced the “simultaneous method” of teaching, still used today—where students of equal age and ability are grouped together, taught from one text, and under the instruction of one teacher. The schools his order created were free, open to all (regardless of class, race, or origin), and were made to be enjoyable for students. He promoted the idea of “universal education”—one we believe without question today. As the reputation of his schools grew, so, too, did their enrollment. 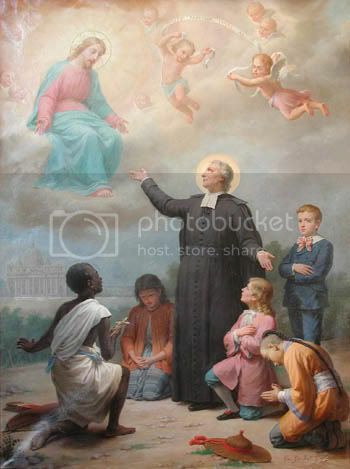 Recognizing the plight of poor girls, Saint John Baptist subsequently became the spiritual director of the Sisters of the Holy Infant, an order dedicated to serving that community. In this way, he further extended the construct of “universal education” to women—an uncommon (and unpopular) idea at the time. While his instructional style was based in the scientific method, Saint John Baptist was primarily a moral theologian, and religious and moral instruction was central to the teachings of his schools. His treatise, “A Method of Mental Prayer,” is still used today. Saint John Baptist lived an austere life, residing with his brothers, and observing the rules of austerity he created for the order. Far from the life of luxury, comfort, and privilege he imagined as a youth, Saint John remained focused on his calling, the will of the Lord in his life, until the very end. Saint John worked tirelessly until his death, on Good Friday in 1719. Throughout his life, he met with constant opposition to his calling, his teaching methods, and the love and care he bestowed on the “undesirable” youth he served. Worn out by this opposition, he succumbed to illness surrounded by his brothers. The de la Salle brothers continue to educate today, throughout the world, teaching in primary and secondary schools, universities and technical colleges. Many of the techniques developed and promoted by Saint John continue to be used in classrooms—both religious and secular. Saint John Baptist’s life reminds us of our competing priorities– how often our own plans and hopes for our life conflict or challenge the call of the Lord to do greater things for His glory. We are inspired to obedience, even when we find the call challenging, distasteful, or unexpected. 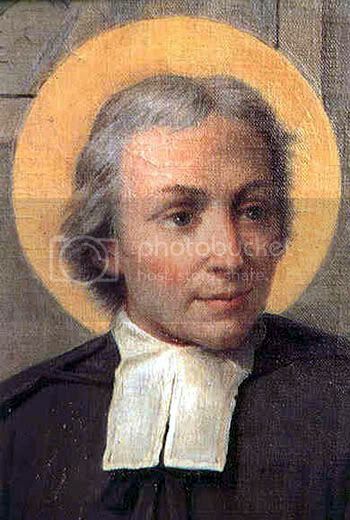 Saint John Baptist de la Salle demonstrated throughout his life unwavering faith in the Lord, despite earthly opposition and difficulty. Through his faith and obedience he revolutionized the way that educational instruction– likely including that which we receieved– was delivered throughout the world. What can we accomplish through obedience to our gracious Lord? Prayer Intentions: Obedience to the will of God; For all those involved in education. Requested Intentions: For a friend’s daughter, seeking medical treatment for a blood disorder (D); For the grace and conversion of a loved one (Z); For a beloved son’s return to the faith (A); For the improved health and recovery of a mother (G); For health, blessings, and protection (K); For an improvement in a difficult employment situation (T); For a family member’s recovery from surgery (D); For the victims of an automobile accident (D); For peace of mind and health (J); For the love of a romantic partner (S).